This article is about the electronics form factor. 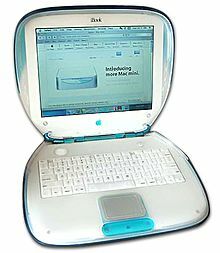 For other uses, see Clamshell (disambiguation). The clamshell form factor is based on the hinged design of the clam. A flip phone demonstrating clamshell design, open (left) and closed (right). The flip or clamshell is a form factor of a mobile phone or other device which is in two or more sections that fold via a hinge. If the hinge is on a long edge the device is more likely to be called clamshell than flip phone (e.g., Nokia Communicators). Generally speaking, the interface components such as keys and display are kept inside the closed clamshell, protecting them from damage and unintentional use while also making the device shorter or narrower so it is easier to carry around. In many cases, opening the clamshell offers more surface area than when the device is closed, allowing interface components to be larger and easier to use than on devices which do not flip open. A disadvantage of the clamshell design is the connecting hinge, which is prone to fatigue or failure. The clamshell form factor is most closely associated with the cell phone market, as Motorola used to have a trademark on the term "flip phone", but the term "flip phone" has become genericized to be used more frequently than "clamshell" in colloquial speech. The form factor was first used by the laptop manufacturer GRiD (who had the patents on the idea at the time) for their Compass model in 1982. In 1983, the Ampere WS-1 laptop used a modern clamshell design. The first Motorola model to support the clamshell design was the MicroTAC, created in 1989, although General Telephone & Electronics (GTE) held the trademark from the 1970s for its Flip-Phone (one of the first small hand-held electronic phones), until 1993. The design has since been copied by virtually all smartphone manufacturers many times. Motorola is best known for its clamshell models such as the RAZR. The clamshell design has also been used in the Nokia Communicator series, with the first model released in 1996. Early models were very expensive and Nokia did not adopt the traditional clamshell phone design until 2004. Clamshells were, as of early 2009, the most popular form factor for smartphones in the U.S. However, they have lost ground to touchscreen smartphones. Late 2014 saw a return of flip phones thanks to celebrities like Rihanna, Kate Beckinsale and Anna Wintour. Reasons for their return included their simple nature, being lightweight and their ability to fit in pockets due to their smaller size, and preference of buttons. A reference to a flip phone style communicator is referenced in chapter 3 of "Armageddon 2419 A.D." a science fiction novella by Philip Francis Nowlan which first appeared in the August 1928 issue of the pulp magazine Amazing Stories. The device is described in the following quoted passage "Alan took a compact packet about six inches square from a holster attached to her belt and handed it to Wilma. So far as I could see, it had no special receiver for the ear. Wilma merely threw back a lid, as though she was opening a book, and began to talk. The voice that came back from the machine was as audible as her own." 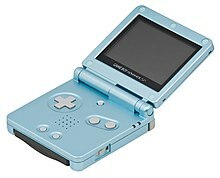 Besides smartphones, devices using the flip form include laptop computers, subnotebooks, the Game Boy Advance SP, the Nintendo DS, and the Nintendo 3DS, though these are less frequently described as "flip" or "clamshell" compared to smartphones. Other appliances like pocket watches, waffle irons, sandwich toasters, krumkake irons, and the George Foreman Grill have long utilised a clamshell design; a very similar concept is used in racing and road legal cars, like the Ford GT40 and Ferrari Enzo, where the whole rear end can be lifted to access the engine compartment and suspension system. Bookbinders build archival "clamshell" boxes called Solander cases, in which valuable books or loose papers can be protected from light and dust. It is also an informal name for General Motors full-size station wagons, manufactured from 1971 to 1976, that featured a complex, two-piece "disappearing" tailgate, officially known as the "Glide Away" tailgate. Wikimedia Commons has media related to Flip phones. ^ Tynan, Dan (2005-12-24). "The 50 Greatest Gadgets of the Past 50 Years". PC World. p. 2. Retrieved 2006-09-10. ^ "Sams Telephone Pictures Collection - Post Liberalisation". www.samhallas.co.uk. ^ "Motorola tries to secure flip phone trademark, designer gets caught in battle". Mobile Phone News. 1996. ^ "Nokia takes on clamshell rivals". BBC News. 2004-06-14. Retrieved 2010-05-02. ^ Choney, Suzanne (20 January 2009). "The flip phone takes a dip in popularity". MSNBC. Retrieved 14 April 2019. ^ "Is Hollywood Going Back to Flip Phones?". The Huffington Post. 2014-12-02. Retrieved 2014-12-31. ^ "High-profile stars find fashion in old-school phone tech". Business Insider Australia. December 2, 2014. Retrieved 2014-12-31. ^ "How Oldsmobile Cars Work". HowStuffWorks. 20 June 2007. This page was last edited on 14 April 2019, at 20:50 (UTC).